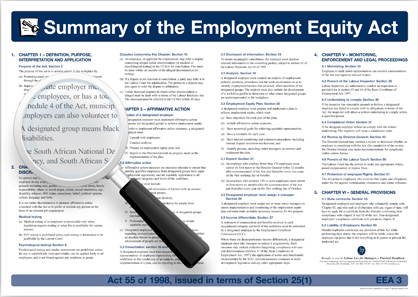 We will help you pass an Employment Equity Inspection by the Department of Labour. Important Note: Consultants cannot do your EE reporting on your behalf. If a consultant offers to do your annual submissions without consultation with your EE Committee and HR Department they are breaking the law. • Guidelines ongoing communication of EE throughout the Co.